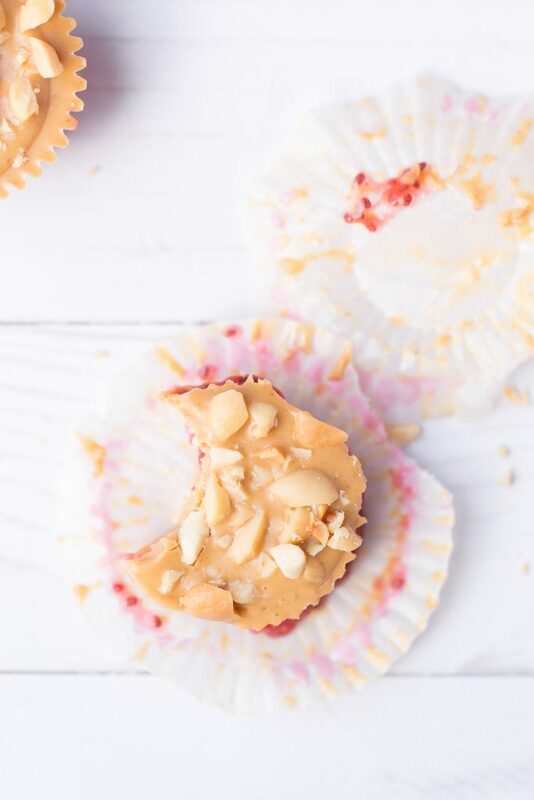 Peanut Butter and Strawberry Jelly Cups take the classic flavor combo and turn it into a miniature bite, perfect for low-sugar snacking and dessert! What happens when you take a peanut butter cup, replace the chocolate with peanut butter, and replace the peanut butter with jam? Did that make sense?? 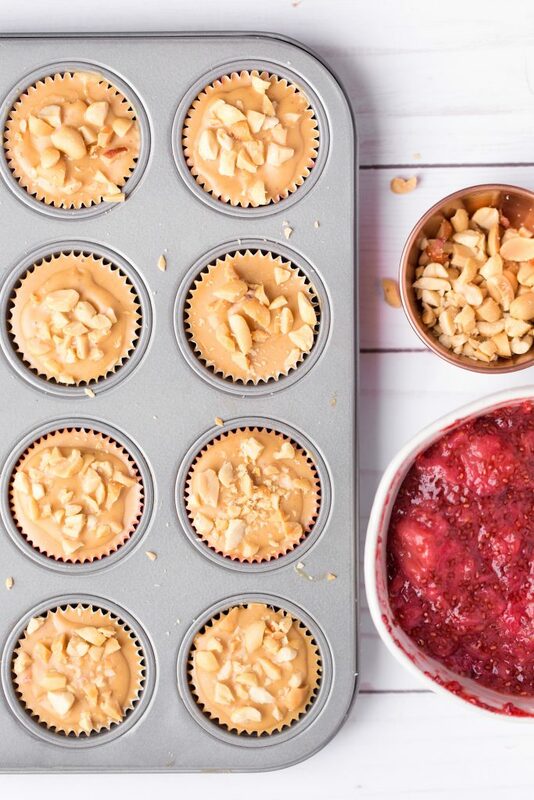 Oh, whatever – the answer is PBJ cups! Taking peanut butter and jelly to a whole new level, friends. 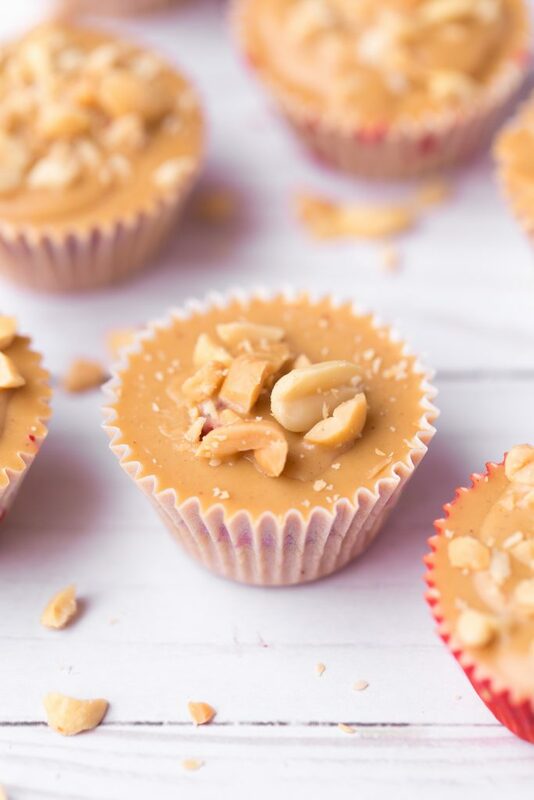 Creamy, natural peanut butter is sweetened with a touch of maple syrup and sandwiches a homemade strawberry chia jam center in these cute, miniature cups. I’m one of those people who needs – like, seriously needs – a little something sweet after eating a savory lunch or dinner. I usually go for a small piece of dark chocolate, but keeping these cups in the fridge has helped satisfy my sweet tooth. Max, my dog, is also a fan. Pretty sure I had him at peanut butter. You can use store-bought jam, but it does increase the overall sweetness and sugar content of these cups. Store-bought is always an option, but I’ve taken to making it whenever a recipe calls for berry jam. Making your own jam couldn’t be easier and lets you control the amount of sugar! Make the strawberry jam by combining strawberries, water, and sweetener in a medium saucepan over medium-high heat. Cook until strawberries begin to break down and give off liquid, about 5 minutes, then reduce heat to medium low. Simmer until mixture begins to thicken, about 5 more minutes. Stir in chia seeds and let cool. Combine peanut butter, coconut oil, and maple syrup in a medium bowl and stir to combine. Fill each muffin cup with 1 to 1½ teaspoons of peanut butter mixture. Place muffin pan in freezer for about 10 minutes, or until peanut butter is set. Remove pan from freezer and layer 1 tsp jam on top of each peanut butter cup. 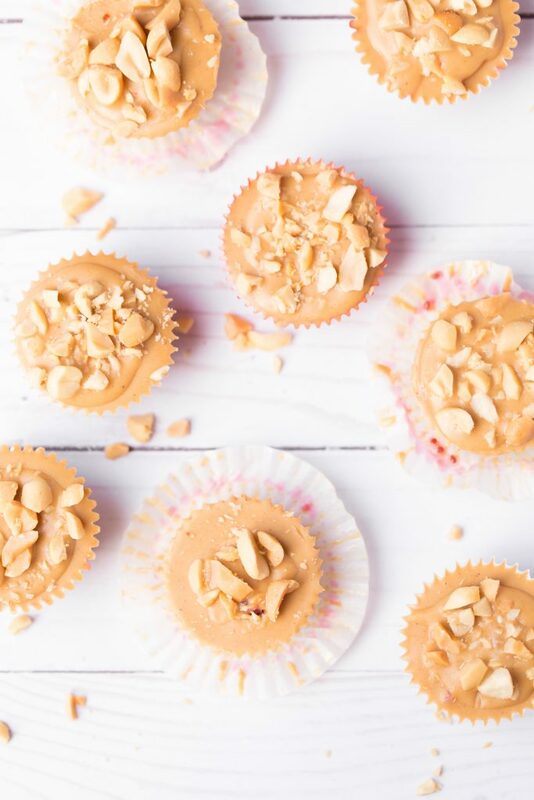 Top each cup with additional 1 teaspoon of peanut butter mixture. Top with chopped peanuts, if desired, and return pan to freezer for 10-20 minutes until set. Store peanut butter cups in airtight container in fridge or freezer. If frozen, let cups sit at room temperature for 5-10 minutes before eating. Enjoy!